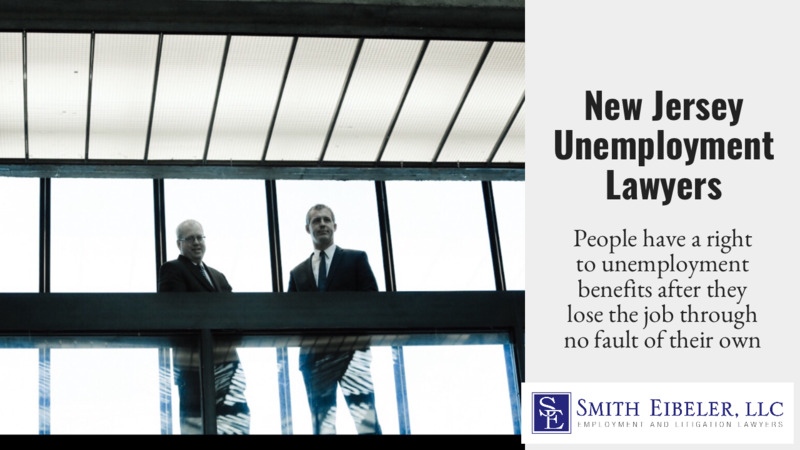 The New Jersey Department of Labor makes the initial determination of whether an applicant has met the eligibility requirements to receive unemployment compensation benefits. The non-monetary eligibility requirements that an applicant must meet are showing that he or she is able, actively seeking and available to work. An applicant must be physically, mentally and legally able and available to work for every week they are claiming benefits. If an applicant is unable to work as a result of a physical, mental or other disability or handicap, he or she will not be eligible for unemployment benefits, but may be eligible for New Jersey’s Temporary Disability Insurance program or other disability compensation. In order for an alien to be eligible for unemployment benefits, he or she must be lawfully admitted for permanent residence at the time the services were performed and lawfully present for the purpose of performing the services or otherwise was permanently residing in the United States under color of law at the time the services were performed. An applicant must be actively seeking work in order to claim unemployment benefits. Actively seeking work requires that the applicant is doing all that is reasonable to secure new employment. The Department of Labor considers at least three employer contacts on a weekly basis as being actively seeking work. This includes sending resumes, telephone and in-person contact. This does not include relying entirely on an employment agency, word of mouth communications or just reading wanted ads. An applicant must be willing, able and ready to accept suitable work and that he or she does not have good cause to refuse. Simply put, if a suitable job is offered, the applicant must take it. However, because everybody has different skills sets, experiences and circumstances, there is no black and white test to determine whether a job that is being offered is suitable and therefore must be accepted by the applicant. The Department of Labor and New Jersey courts analyze things like the applicant’s last job, including job duties, distance from home and salary in determining whether a new job position is suitable new employment. Additionally, the longer the applicant is receiving unemployment benefits, the broader the applicant must look for and accept suitable work.